Whether you're after endlessly long days in the summer months or the magical Northern Lights in the winter – Sweden has some great (natural) attractions for every season! Lately, several well‐done drama‐comedies came over from Sweden, too. These include Oscar‐nominated A Man Called Ove (2015), The Hundred‐Year‐Old Man Who Climbed Out the Window and Disappeared (2013) and, most recently, another Oscar‐nominated comedy‐drama flick called The Square (2017). For everything else you need to know in order to plan your film‐inspired trip to Sweden, check out this country guide! 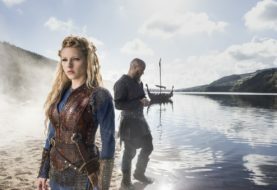 19 films and series that have been set and / or filmed in Sweden! Summer: If you want to party like a Swede and experience Midsummer (the longest day of the year when the sun stays up almost all night) you have to come around the 24th of June. The further north you go, the longer it will stay bright at night. July and August are also nice. It never gets too hot, at least in my experience (maximum around 25 degrees Celsius). Early autumn: As most tourists tend to flock Sweden's capital Stockholm in the summer months of June, July and August, September is the perfect time to explore the city at a leisurely pace… If you're lucky, it may even still be really sunny and warm, which was the case during my visit in September 2016. Winter: If you like snow, come in the winter months of December to February and you'll get lots of it (in Stockholm it's not always guaranteed, but in the North and Swedish Lapland it will be a "winter wonderland" for sure). However, because of the closeness to the Arctic Circle, it's also very dark. December is the darkest month with the least hours of daylight. In comparison, February offers a lot more daylight and the chance to spot the famous Northern Lights is equally high! 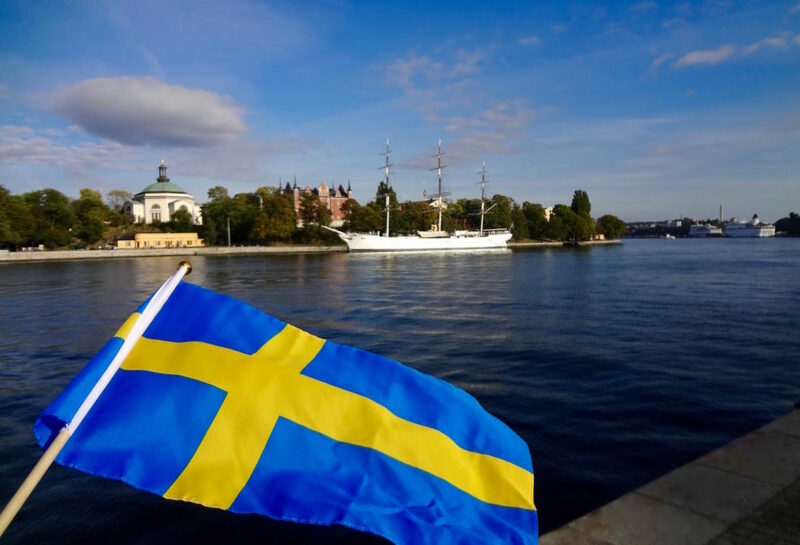 The capital of Sweden is worth visiting all‐year‐round. If you're there for a short stopover or weekend break only, check out my tips for 72 hours in Stockholm. 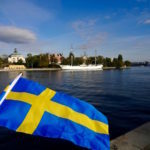 The Stockholm Millennium Tour is a must‐do for any film fan of Stieg Larsson's Millennium Trilogy. Not only does it take you to the iconic film locations, but you'll also discover Stockholm's trend district Södermalm and get a great panorama view of Stockholm. Read more about the tour in this post. The Swedes love their summer island getaways (and their boats). So, in the summertime, a trip to the nearby Stockholm archipelago should not be missed! This is an equally great spot for some relaxing boat tours around a beautiful archipelago as well as some Vikings-inspired museum sightseeing! Dalarna County is said to be "the most traditional area of contemporary Sweden". The Midsummer celebrations here are the biggest in the country. The Swedish film Dalecarlians (2004) is set here. The drama‐comedy is about career‐driven Mia who has left her small hometown in Dalarna to live and work in the capital Stockholm. When she comes back home to celebrate her father's birthday, she is confronted with both admiration for being courageous enough to leave as well as jealousy, particularly from her sisters. If you know Sweden from the stories and films of bestselling author Astrid Lindgren, you will have to come to Småland! You will find a lot of Astrid Lindgren‐inspired holiday activities here, including her own childhood home and a theme park with all her popular book and film characters. Furthermore, the South Coast is officially classified as the sunniest spot in Sweden. This makes Småland the ideal destination for a sunny summer holiday with warm, but never hot temperatures, and long, sunny days. 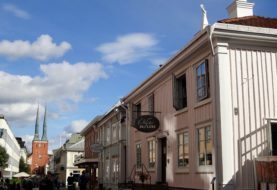 Start planning your trip with my two Småland posts Quintessentially Swedish – Six reasons to visit Småland and Five reasons to visit Växjö in Småland, Sweden. This is the place to be for all Northern Lights hunters, snow lovers and fans of bumpy sleigh rides with cute huskies! My tip: The Swedish town of Abisko is known as one of the towns that offers the highest chances to see he famous Northern Lights in Lapland. This was certainly true for me when after a week‐long tour around Finland, Norway and Sweden in February 2017, I finally saw the Northern Lights on the very last night in Abisko. Public transport in Stockholm is very quick and convenient. If you know you'll be travelling around the city quite a bit, get yourself an unlimited travel card for 24 hours, 72 hours or 7 days (unfortunately there is no card for 48 hours). With this card, you can use all public transport (the underground network called the "Tunnelbana", buses and even some ferries). Swedish trains are quick and efficient. Plus, they usually offer a good and free WiFi connection throughout the journey. There are frequent services to the neighbouring Scandinavian countries (for example Oslo in Norway and Copenhagen in Denmark). However, it's worthwhile booking your tickets ahead of time through the official Swedish rail company SJ as last‐minute tickets can become quite expensive. Rental car: Sweden is a vast and in many ways rural country, so if you want to explore the countryside with maximum flexibility, a rental car is your best bet. Guided bus tours: This option is for you if you like to sit back, relax and take in all the exciting information from your tour guide. 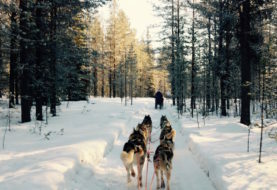 Scanbalt Experience is my tip for a budget tour through the magical winter wonderland in Lapland. Scanbalt's tours are primarily for students, but you can also take part as a non‐student (you just have to pay a little bit more, usually just about 25 euros). 2. Official language: Swedish, but everyone (and I mean everyone) speaks amazing English! This is partly due to the fact that all foreign films in cinemas and on TV are shown in their original language (with Swedish subtitles). This is, by the way, true for all other Nordic countries, too (Finland, Denmark, Norway and Iceland). 3. Credit cards are widely accepted everywhere and the official currency in Sweden is Swedish kronors (SEK) You can do the (rough) conversion to euros and dollars easily in your head: Just remove a zero, put in a tiny bit more and you'll have it. So 100 kronors is roughly 11 euros. 4. Accommodation: Although I found Norway and Denmark far worse, Sweden is quite expensive. In terms of accommodation, AirBnB is a good alternative for budget travellers who don't want to stay in crammed hostel. If you've never booked an accommodation on AirBnB before, sign up via this link and you will get a nice discount for your first booking! In terms of a good budget hostel, I can recommend the centrally located 2kronor Hostel and the Castanea Hostel in Stockholm's Old Town. 5. Cheap Eats: Many places offer cheaper set menus for lunch on weekdays (watch out for "dagens lunch"). Otherwise, nothing tops IKEA! You can have a whole meal with a drink, dessert and coffee for roughly 5–6 Euros! Since there is an IKEA in pretty much every Swedish town, your next cheap meal is always around the corner. Plus, the traditional meatballs (there is also a veggie version) are a quintessentially Swedish dish to try! 6. Free Bus to the City Centre: While we're on it, a great way to save money in Stockholm is to stay in a hotel near Kungens Kurva (for example the Scandic Hotel opposite IKEA). From here, you can catch the free IKEA bus, which will take you into Stockholm's city centre in just 20 minutes (only on weekdays though). Check out this post by Routes North for more info on the IKEA bus. 7. Plugs and Driving: Sweden uses the same kind of plugs as the rest of Europe (except for the UK and Ireland) and cars drive on the right side of the road. Got any tips or questions for Sweden? Let me know in the comments below! Disclaimer: I will receive a small affiliate fee if you click on the AirBnB link in the post, register on the site and make your first booking through this link. I will also receive a small affiliate fee if you click on any of the Booking.com links in this post.